The new release is a one-click upgrade for sites going from 3.4 to 3.5 and is NOT a migration. This upgrade is only suitable for sites built on the 3. series. In theory, this should be a simple upgrade, however, be sure to check compatibility with any third party extensions you have installed, back-up your current site beforehand, and consider testing it in a development environment first. The update emails plugin is a welcome addition to Joomla!. Usually bug fixes and security updates are incorporated into the software every few weeks, and this new plugin emails the Super User whenever there is an update available. Currently you only discover there is a new version available when you login to the admin panel of a site, and see the upgrade message. If you're maintaining several sites, this can be a bit irritating, as you now have to schedule an unexpected workload to update all your sites, sooner rather than later. And, if you're just looking after one site, it may be some time after the new version has been launched, before you login and discover it. From both a time management and site security perspective the update emails are good news, enabling you to schedule time to go through and update all sites you are looking after, and ensuring that no site is left vulnerable if you have not logged in for a while and were not aware that there was an issue. When you first login to the admin panel of your new Joomla 3.5 site, one of the first things you'll see is a post-install message (Fig. 2) for this new plugin. This plugin has been developed in an effort to help the Joomla project understand more about its users. It will anonymously collect PHP, Database Type and Version and Joomla Version a user is running so that the project can set PHP and MySQL versions more accurately for future Joomla Versions. The information gathered will be sent back to a Joomla controlled central server, and will enable the team to make informed decisions about which platforms they need to support, minimum version requirements, the pace at which they can encourage people to upgrade, and so on. The plugin is enabled by default, but can be disabled at any point. Although it is our recommendation that you leave the plugin enabled, it is important that you do advise your clients of its existence and the type of information it is relaying back to the Joomla servers. You can see the information being collected and submitted by the plugin by going to; System - Joomla! Statistics, in the Plugins Manager tab. Also, see fig. 3 below. The Joomla project, in discussing this plugin, does stress the importance they put on Joomla user privacy, and provide links to the source code for both the plugin and the server code. 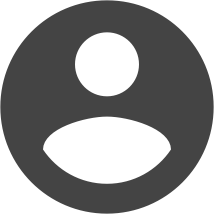 They assure users that access to the data collected will be restricted and, although a unique id is created for each site to prevent duplication, it will not be possible to identify individual sites from this information. This new feature is an easy-view display of the number of published, unpublished, archived and trashed items in articles, banners, contacts and newsfeeds. This is a great new capability. Previously when making changes to the Protostar template you had two options; either add a new css link to the index.php file or make changes directly to the Protostar css file. With this new function you can now add your own css file; user.css. When the site loads it will also load this file, if it exists. This makes customisation much less cumbersome and means you don't have to interfere with either of the core php or css files for the Protostar template. Many third party extensions ask for your site set-up information at the time that you post a query on a forum, or contact technical support. They need to know what version of all software you are using in order to provide help. This new feature is very handy, as it enables you to gather all relevant information in one file for download and submission as required. All in all, this is a good upgrade. All of the features listed above greatly add to the ease of Joomla. 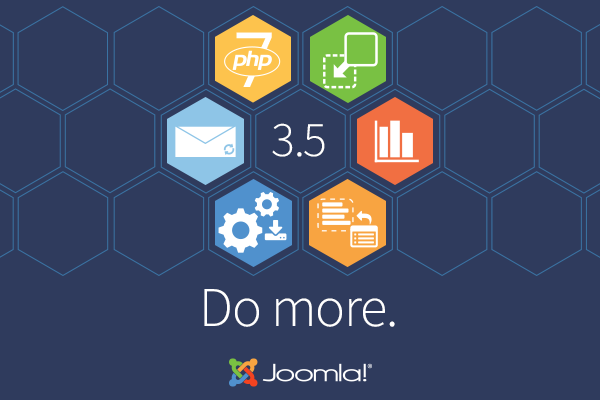 Whether designing, maintaining or seeking support, and whatever your level of expertise, 3.5 continues to enhance the Joomla project. 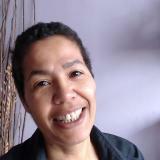 I am a Joomla website designer with a particular interest in working with small, local businesses. Small enterprises are the majority around the world, yet they have been poorly serviced by the tech industry; sold products and services of inferior capability and left in the dark with regards to what can really be achieved on a small budget. I believe the web and the attitude of open-source, provide the opportunity for the small to excel. And Joomla plays a significant role in the new possibilities. Tuesday, 17 May 2016 Ohanah - Event & Ticketing made really easy! Sunday, 10 April 2016 How Many of These Joomla Websites Have You Visited? Friday, 18 March 2016 What's new in Joomla 3.5? Thank you this well documented blog, it is a great help and I agree it does need testing before major use. I wonder whether updating to 3.5 is worthwhile considering the trouble this may produce. However, did I miss statement regarding performance? It is being said when 3.5 runs on PHP7 there will be some performance enhancements. My site is growing larger and more complex. I miss productivity tools, more batch type processes, drag-n-drop / widget style components. I tried out some admin templates promising more comfort. But actually these failed in functionality, are unsupported or their overlay technique were incompatible with my environment. Any directions welcomed. I wonder whether updating to 3.5 is worthwhile considering the trouble this may produce. However, did I miss statement regarding performance? It is being said when 3.5 runs on PHP7 there will be some performance enhancements. My site is growing larger and more complex. I miss productivity tools, more batch type processes, drag-n-drop / widget style components. I tried out some admin templates promising more comfort. But actually these failed in functionality, are unsupported or their overlay technique were incompatible with my environment. Any directions welcomed.